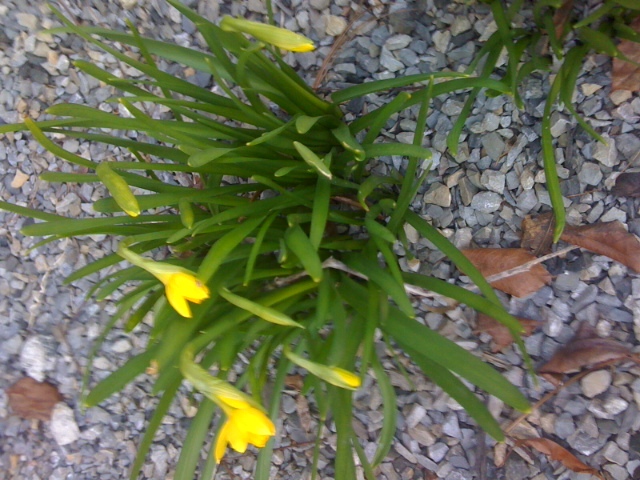 As I was running up my walkway, I glanced down and noticed our daffodils emerging amid the brown, crusty leaves. While they’re not the most gorgeous flowers I’ve ever gazed upon, they were just the pick-me-up I needed to push through yet another chilly–and somewhat monotonous–day. So thank you daffodils for encouraging me to take a moment to appreciate you and all of the hope and renewal you symbolize. Hope you enjoy them as well! Previous Little things can make a big difference. Next Something to look foward to.